See Hertford Castle and visit this restaurant. 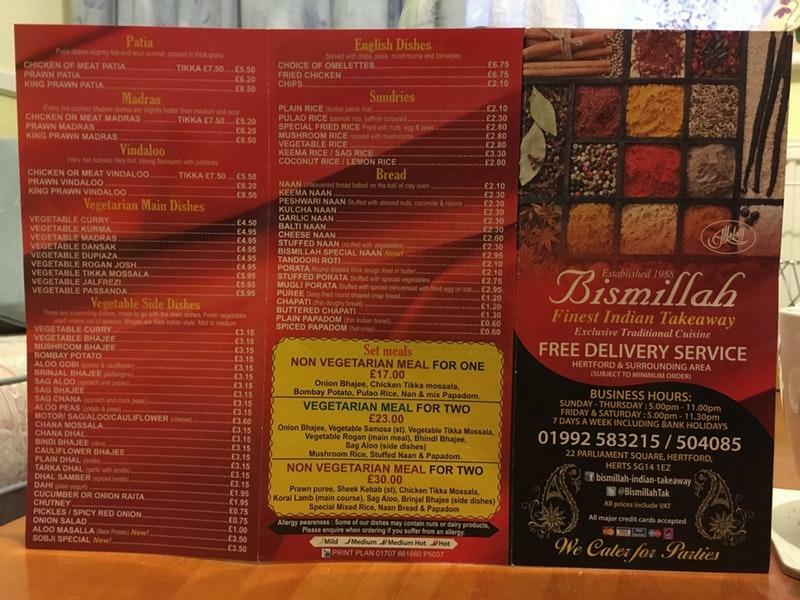 Indian and Pakistani cuisines are recommended to try at Bismillah. You can share perfectly cooked chicken with your friends and spend a good time here. 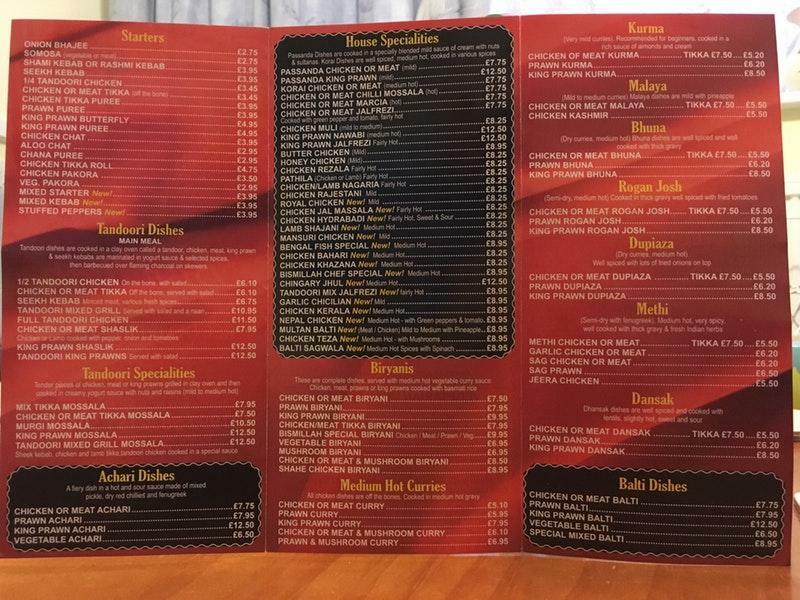 This place with takeaway dishes is suitable for those visitors who like to eat in a hurry. Many guests underline that the staff is hospitable at this spot. Fabulous service is something clients like here. 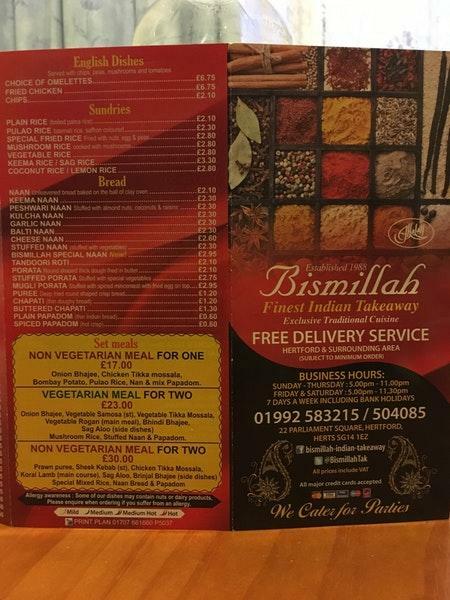 TripAdvisor users rated this restaurant and it gained 4.